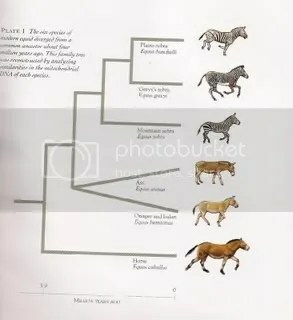 Image source: Stephen Budiansky, The Nature of Horses: Exploring Equine Evolution, Intelligence, and Behavior (1997). 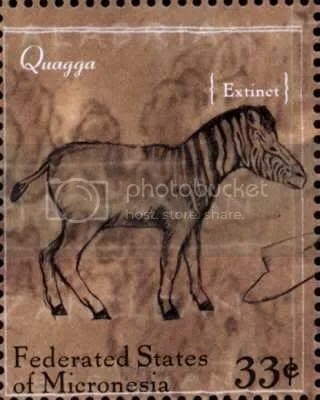 If you’d like a more technical answer, have at it: “A rapid loss of stripes: the evolutionary history of the extinct quagga“, Leonard et al., Biology Letters: Biol. Lett. (2005) 1, 291-295 DOI: 10/1098/rsbl.2005.0323. 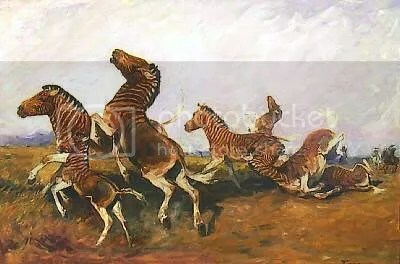 Extinction may not be forever, though; the Quagga Project aims to recreate the quagga through selective breeding of Plains zebras, and over 120 foals have been bred towards this goal. A colt named Henry, foaled in 2005, is their most quagga-esque foal so far and is the product of three generations of careful breeding. Cryptomundo has a few entries on quaggas. The Poles were successful in “recreating” the Tarpan from primitive farm horses. 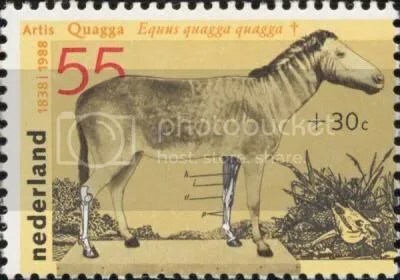 I hope that the Quagga breeders are just as successful. 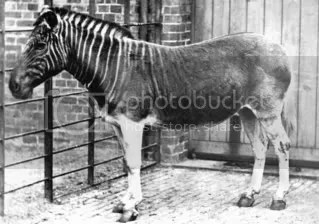 It says volumes about mankind that this strange and beautiful creature was simply exterminated, practically within living memory. 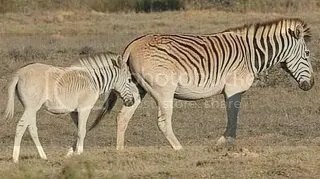 these pictures are so cute and the info on these wonderful creatures are helping very much with my research on a Quagga for science class.